Now you can stream classes online with Jayne Bernasconi, so that you can practice in the comfort of your home or during your travels. This Gentle Hatha Yoga class is for beginners as well as experienced yogis who would like to slow down their pace into a more relaxed practice. Prana (breathwork) is an integral part of this class as Jayne guides you through every inhale and exhale so that you're able to coordinate movement with the flow of breath. The 2nd half of class moves to the wall to align posture and go deeper into postures. Shoulders, hips, and hamstrings are the focal points on the body at the wall. The final resting position, savasana, has a 5-minute video of the Gunpowder river to soothe and wash away any remaining stress or tension that may be lingering in your body and mind. Yoga Nidra is a powerful method of health and healing for body and mind. Unlike other practices, this is about un-doing. There's nothing to do except listen to the instructions lying down. You'll be guided through the process and if you're mind drifts, no worries, your body will be able to absorb the information. This technique is an ancient, life-changing practice that can un-do stress and tension on a very deep level. This practice is for advanced beginner or intermediate students of yoga who would like to deepen their practice with a more classical style of Hatha (pronounced "Ha-Ta") yoga from the Himalayan Masters, using the philosophical techniques of Krishnamacharya; deep pranayama or breath-work in combination with dynamic movement, then longer holds in the postures or asanas. This practice works your strength, flexibility, stamina and endurance while cultivating smooth and even- textured breath. Utkatasana (chair pose), Virabhandrasana (warrior) series, vasisthasana (side plank) and parivrtti ardha chandrasana (revolved half-moon) are some of the movements covered, along with some vinyasa flow transitions. 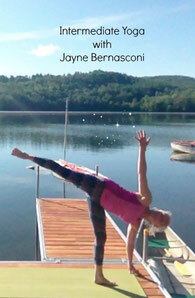 Practice Yoga by a beautiful Vermont lake as Jayne Bernasconi, E-RYT500, (experienced registered yoga teacher 500 hours) guides you through a traditional Hatha/Tantra class for intermediate levels. This practice opens with a Native American prayer that salutes the four directions of the earth: East, North, West, South. This class will help with your strength, stamina, flexibility and balance. Breath work (pranayama) and dynamic flow combined with longer holds help to deepen flexibility and let go of muscles to break up some of the tension and tamas (sluggishness) in our body. 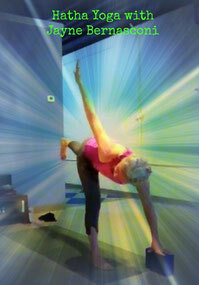 You can almost feel the sunshine beating down on your body as your practice progresses into this master class. This is a traditional Hatha Yoga class for beginners as well as experienced yogis. Jayne guidance has specific cues for correct alignment and placement to develop strength, stamina, and flexibility. Breath work is key in all of Jayne's classes and this class begins with Sitali (or cooling breath) which helps to calm the body for a more centered and mindful practice. A yoga belt is used in class but don't worry if you don't have one, you can use a hand towel or regular belt. This class was taped at Yoga On York in July, 2015 during one of Jayne's Gentle/Beginner classes. The beauty of practicing yoga at the wall is that it helps to give you another plane or platform to use as reference points so that your body can go deeper into a posture. It strengthens specific areas and helps to soften other areas that may be gripping or holding. By pushing your back, a knees, or am arm into the wall you create isometric pressure; the wall pushes back and it's a direct cue for the body to streamline muscular action into correct posture. Jayne says: "The wall is a wonderful teacher and you can't cheat when you're the wall. 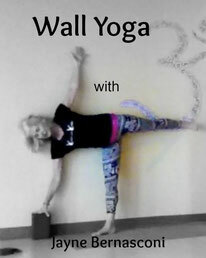 My students get amazing results at the wall and it's one of my biggest requests at Yoga On York." Aerial Yoga inventor, Jayne Bernasconi, has gathered some of her best aerial yoga postures and compiled them into a 50 minute class (for experienced) aerial yogis/yoginis. This class builds core, arm strength, stamina, stability as well as flexibility and a healthy dose of spirituality to stay mindful and centered during practice. You'll work on deep hip openers, core strengthening, balance and agility while some or all of your body is in the hammock or on the mat. Class works it way to a full inverted suspension inside the hammock, such as sacrum hang or shoulder stand and upright suspensions such as floating tree (vrksasana), suspended bound angle (baddha konasana) or mountain (tadasana). We end by coming inside the hammock for a deep and soothing savasana (resting pose). Feel the fabric gently hug our body as we're rocked back and forth above the mat. An aerial hammock is required for this class. Hey Yogis! No need to stop at Starbucks today as this practice is designed to energize and give your morning a powerful punch!! Postures will include laterals, back bends, twists, forward bends, inversions and extensions to help strengthen and stabilize your core, arms, spine, knees, hips, legs and feet. 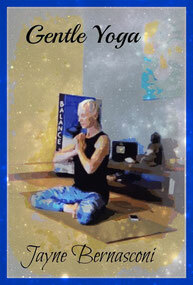 Be prepared for intense pranayama (breath work) to assist the intensity of these asanas/postures. You'll be guided through balances including side crow (parsva bakasana) with extended legs, extended hand to big toe pose (utthita hasta padangusthasana), and side plank (vasisthasana), just to name a few. 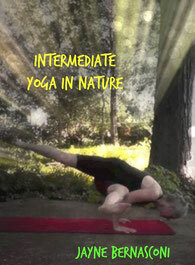 A misty lake (like the fog on our brains) begins to clear as your body is warmed up with yoga postures and sunshine. Strength, stamina, flexibility and balance are key to lifting the fog. This is a great morning practice to achieve clear mind and body. The setting for this video is early morning on Lake Fairlee, Vermont in August. As you progress in this practice, the fog rolls off and the sun shines down to illuminate a sparkling clear lake with rolling hills to help calm the mind and energize your body and spirit. Ahhhhh!